​Leslie Goth has been teaching in the Diocese of Evansville for 14 years, 12 of which have been spent at Mater Dei High School. She graduated from the University of Evansville with a Bachelors Degree in Music Education. Leslie has helped lead the Marching Wildcats to 10 State Finals appearances and has served as Assistant Band Director and technician. 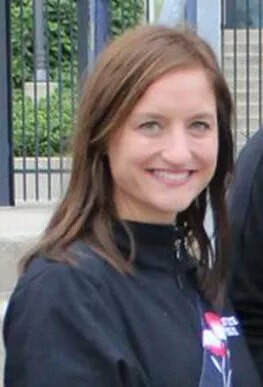 She is currently the Director of Feeder School bands and teaches at Holy Redeemer, Resurrection, St. James, St. Wendel, and Westside Catholic School. In her spare time, Leslie enjoys spending time with her husband and three children. She sings in her church choir and is a member of the Germania Damenchor and Ratskeller Polka Band. Please click here to access the band website. 6-8th Band 4:00 – 5:00 p.m.
5th Band 5:15 – 6:00 p.m.
5 – Christmas Concert (REQUIRED) 6:30 p.m.
17 - Spring Concert (REQUIRED) 6:30 pm Mater Dei Auditorium Report time 6:00 p.m.